Warning: Spoilers! 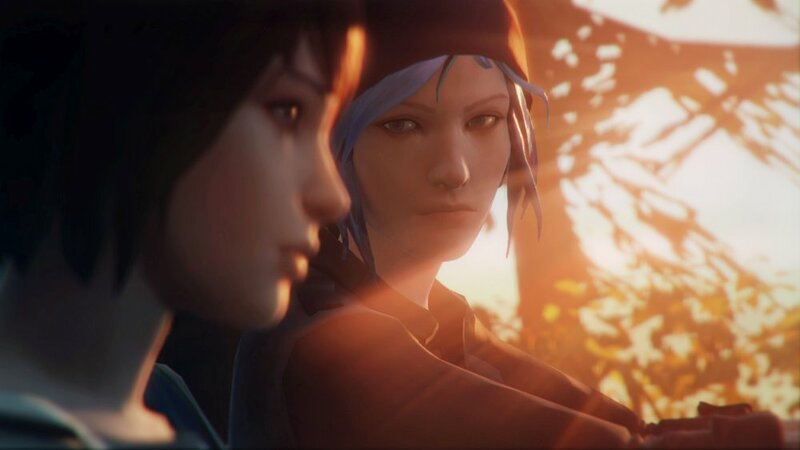 Don’t read this if you haven’t finished Life Is Strange Episode 1: Chrysalis. See Episode 2 Photo Locations here. If you’ve finished Episode 1 of Life Is Strange, chances are you got so caught up in the story you forgot to keep an eye out for those elusive photo ops. But you need those photos if you want the achievements, so here’s a guide to the locations of all the optional photos in episode 1, prepared especially for the Life Is Strange completionist. The first photo op was right at the start. After Mr Jefferson’s class ended and you stood up, you might have walked right past the table that was directly in front of yours. If you go back into the game you’ll see there’s some graffiti etched into it – why not snap up a pic? When you first entered the schoolyard, right after the fire alarm incident, the first thing you noticed was probably the big statue of Jeremiah Blackwell staring straight into your eyes. But then you ran right past it to sign Ms Grant’s petition, right? Get back there and take his photo! This next one’s not so obvious. After you’ve taken photo number 2, you’ll notice some skateboarders at the back of the yard. Go find Justin and have a chat. No matter what you do, he’ll call you a poser. Luckily, thanks to your handy time travelling powers, you can go back and try again. Once you’ve earned his trust he’ll ask you if you want to see him do a trick. Make sure you ask him to do a “tre flip”. He’ll fall on his backside, but you’ll get a great photo. While you were wandering around, trying to work out how to get Victoria Chase and her posse out of your way, you might have noticed Kate sitting alone on a bench. Annoyingly, you can’t interact with her here, but behind the tree that’s next to her there will be a squirrel just waiting for its close-up. This one’s another selfie. While you were in Max’s room you will have noticed there’s a mirror by the door. Go stand in front of it and get a photo of yourself getting a photo. Even though you might have chosen to comfort Victoria after she got paint all over her nice expensive clothes, it’s still a lot of fun to mess up the pictures on the wall in her room. Once you’ve done that, you can take a picture of your handiwork. After you walked out of your dorm building, you probably stopped to rewind time so you could save Alyssa from Zachary’s football because, let’s face it, you’re a superhero. If you turn around, you’ll notice you can take a picture of the broken window. Once you reached the car park, you’d already read a hundred messages from Warren telling you how long he’d been waiting. Warren needs to learn patience! If you weren’t in such a hurry to meet him, you might have stopped by the dusty RV to draw on the window. That’s photo op number 8. After you left Chloe’s house, the two of you headed for the forest path below the lighthouse. Chloe complained you were going too slow. Well, Chloe could also learn a little patience, because if you’d turned around to go back down the path, you’d have come across a rock with a bird on top and taken a photo. The last photo for Episode 1 is when Chloe is sitting on the bench outside the lighthouse. Before you started talking to her, you should have walked up behind her and taken a photo. That’s all the optional photos for Episode 1. Check back once Episode 2: Out Of Time is out for a fresh list of photo ops.